She’s back! 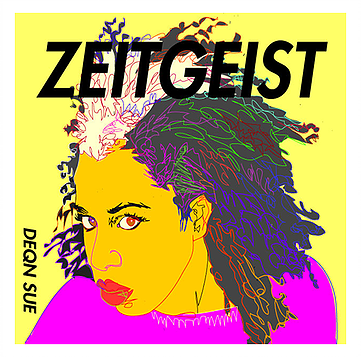 Electro-pop and soul artist DeQn Sue recently announced the release of her newest single Dreamkiller…off her debut-full length album Zeitgeist, which we featured here at Gia On The Move at while back. We LOVE this artist! She’s just plain, two-feet planted, bold! Every release so far is a powerful hit and available right now for purchase. Alternative, quirky pop songs that blend funk and electronic music with R&B, the Alabama-based singer stands out with her unique melodies, unconventional instrumentation and socially conscious lyrics. Zeitgeist was recorded in Athens, AL, where Deqn collaborated with Grammy-nominated producer and recording engineer Kelvin Wooten (Django Unchained, Raphael Saadiq). She has been featured on notable sites such as Afropunk, PopDose, TOAN Magazine, and many more.